Wedding ceremonies held outside have become super popular. 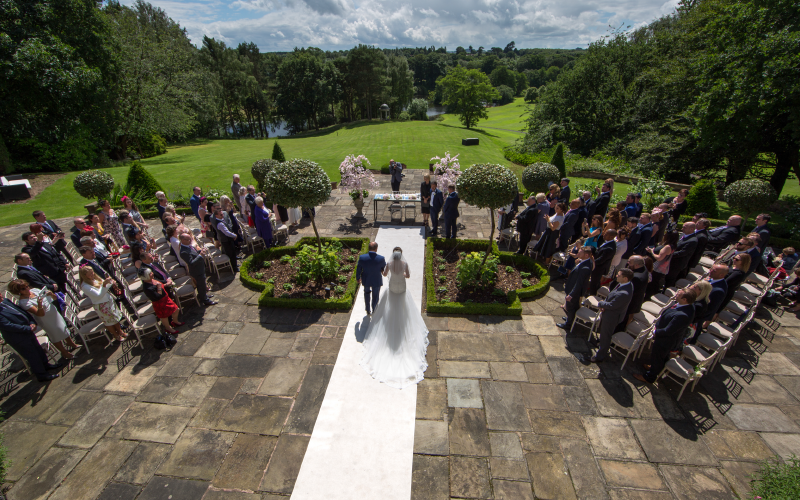 Despite the unpredictable British weather, an al fresco ceremony is very popular at Delamere Manor. 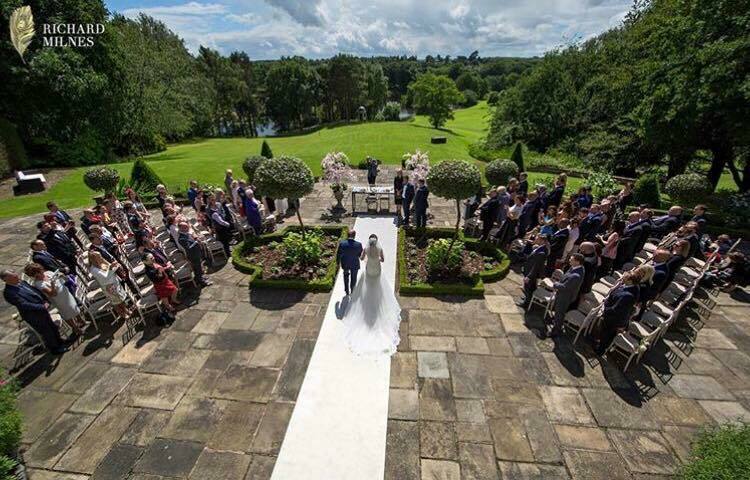 The demand for outdoor wedding ceremonies at our stunning Cheshire wedding venue may have something to do with the four stunning licensed areas we have available. You can choose to hold your wedding ceremony at any of these settings when you marry at Delamere Manor. Set within the picturesque Cheshire countryside, you cannot fail to be in awe of the outstanding natural beauty that surrounds you in each of these spaces. Each outdoor wedding ceremony area offers something truly unique. We find each setting represents the personalities of the couples that choose them. It delights us to offer such a perfect ceremony fit for each of our wedding parties. To give you further insight into what we have on offer, we have listed the four locations within the grounds of our Cheshire Manor from which you can be married in front of your friends and families. However, these locations really do have to be seen to be believed. Book an appointment with us to view them for yourselves. Directly in front of the grand manor house, once owned by Gary Barlow, you will find our open space terrace. Not only will you have the impressive view of the Manor itself, but you will marry overlooking manicured parkland. 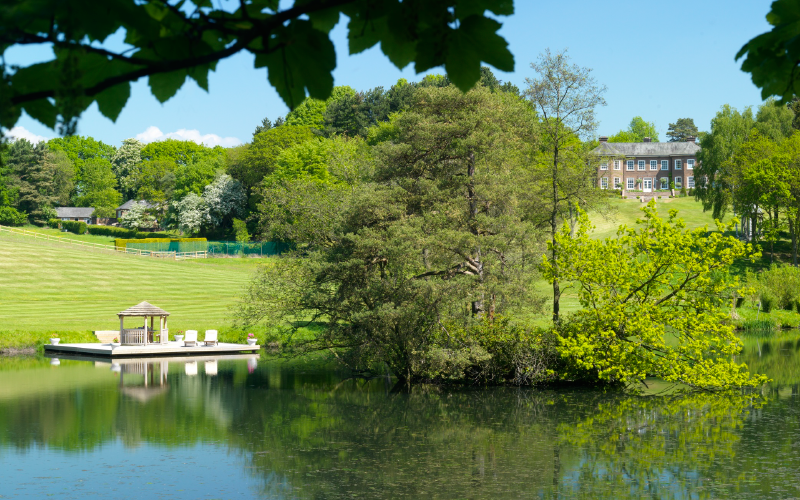 As well as this you will have views of our glistening lake and the mature woodland beyond. 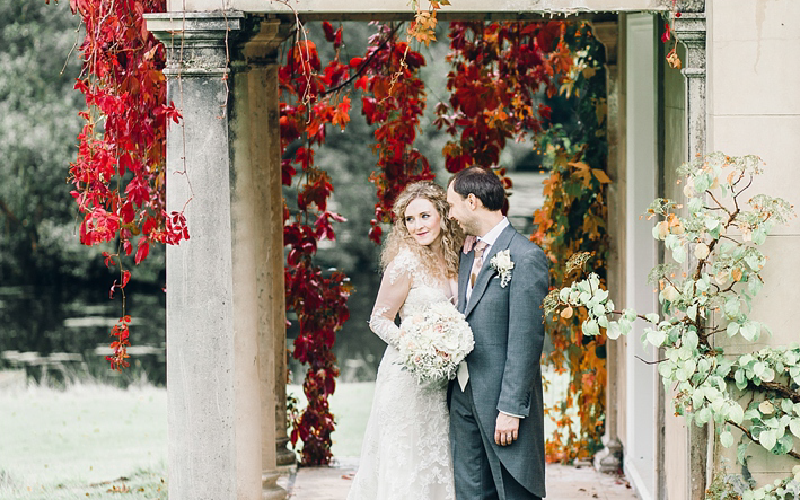 Can you think of a more idyllic backdrop for an English countryside wedding? No, we can’t either. The paved terrace is south facing, which means it remains gloriously lit up by the sun all day. It is also a completely blank canvas for you to style and make your mark on to ensure your wedding ceremony is bespoke to you. This area comes complete with a magnificent wow factor entrance for the bride through the drawing room doors. The well-kept borders around the terrace provide a natural isle, but this can also be highlighted with a floor runner to create a bigger impact. A short walk across the grounds you will find our elegant jetty, situated on the edge of our six-acre lake. Here you will be able to have your waterside wedding ceremony within the Cheshire countryside. This idyllic setting will provide you with panoramic views across the meadows, gardens, and back towards the impressive Manor. The bonus of this outdoor ceremony space are the wildlife guests who often make an appearance. The swans especially enjoy being part of the photos! This is our most intimate ceremony area which will accommodate up to 12 guests for the wedding vows. This gorgeously romantic outdoor spot is also the perfect hideaway to sign the register following vows made on The Terrace. Enclosed by the beautiful gardens which surround it, you can lose yourselves within the Cheshire countryside and enjoy a moment of calm as a new married couple within a busy day. 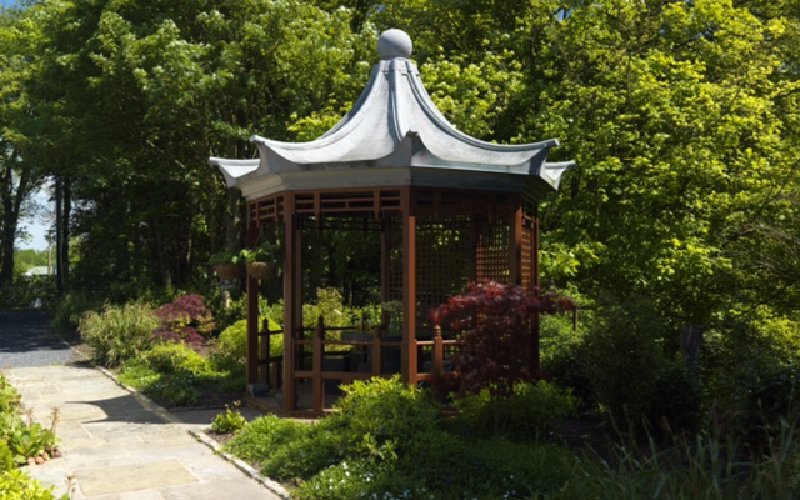 With rustic charm and elegance, our final outdoor space is our exquisite and historic garden folly. This outdoor ceremony space at Delamere Manor provides a great opportunity to have stunning photos with the backdrop of the Cheshire countryside. It also provides a great view of the lake and a unique space to say your vows in front of your friends and family. We hope you love these outside wedding ceremony spaces as much as we do. If you are planning your Cheshire wedding and would like to move the ceremony outdoors, contact us to arrange a viewing consultation.